The War Department filed Upton’s nomination on May 16. The official justification read: “For gallant and distinguished services in the eight days battles in the old Wilderness and at Spottsylvania Court House, Va.” It is interesting that the recommendation did not call out the May 10 attack specifically, but cited him for his service throughout the campaign up to that point. Once confirmed by the Senate, the promotion took effect from May 12, 1864, not the day of his lone attack against the Confederate entrenchments, but the day during which Upton, his brigade and most of the army struggled against the “Bloody Angle” and the “Mule Shoe.” It’s possible that in the immediate wake of the fighting, Meade and Grant did not necessarily recognize Upton’s independent command and action on May 10 as significant or worthy of recognition to the extent it has come to be viewed today. A newspaper announcement such as this one was Upton’s first indication he had been promoted. Confirmation took another twelve days, occurring on May 28. Upton, who had waited so long for promotion to the rank of brigadier general, was forced to wait even longer for notification. He learned of the Senate’s confirmation not through official army channels but by reading an announcement in a newspaper. “I first saw my promotion in the papers on June 1st,” he informed his sister. Still he had yet to be officially informed of his promotion. Three weeks later, on June 22, Lieutenant Colonel Theodore Lyman, Meade’s aide-de-camp, noted in his journal that when he encountered Upton that day the latter asked “if his Commission as Brigadier had got along yet.” For whatever reason, the War Department waited until June 27 to send notices to those officers promoted and confirmed on May 28. As a result, Upton finally received his confirmation on July 1, 1864, just three days short of a full year since he had taken command of his brigade and assumed the duties of a brigadier general. 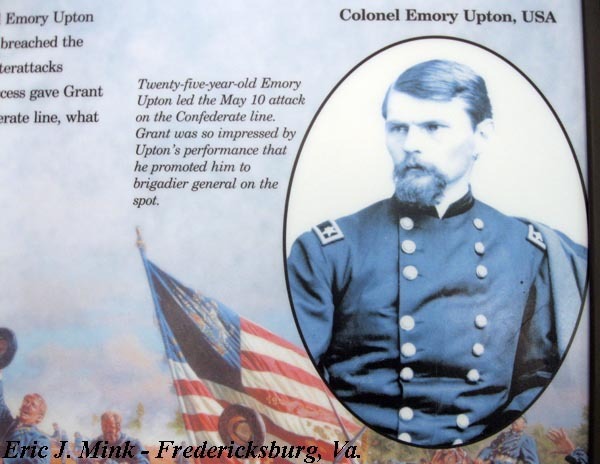 So, the records show that Grant erred in his claim that he promoted Upton on the field of battle following his May 10 attack at Spotsylvania Court House. Contrary to what he wrote, Grant did not have authority to promote officers until May 16. On that date, the recommendation for Upton had already been submitted and was in the process of being filed by the War Department. Grant wrote his memoirs at the end of his life, racing to finish them before he succumbed to cancer in 1885. Grant’s error in claiming to have promoted Upton on the battlefield might well be a result of the fog of time, an ailing mind, simply an honest mistake or some other reason. It is likely that this error influenced others when they put pen to paper to record their memories. The stories surrounding Upton’s Spotsylvania promotion, as told by Beckwith and Best appear to be misinformed if not patently false. The two historians of Upton’s regiment wrote their reminiscences around the turn of the century and may well have been influenced by Grant’s erroneous statement. Crop from a park sign inside the Spotsylvania Exhibit Shelter. Does it make a difference if the anecdotal evidence surrounding Upton’s promotion is not supported by official documents? Upton received his brigadier star at the recommendation of Meade and Grant, so does it really matter whether Grant promoted him on the field or if it went through the traditional process of War Department review? Part of our traditional interpretation is that Upton’s success in breaching the Confederate defenses on May 10 so impressed Grant and Meade that they recognized Upton’s tactical skill and rewarded him on the spot. But as we have seen, Upton did not receive such a promotion. In fact, no Union officer during the Overland Campaign received a battlefield promotion to brigadier general. 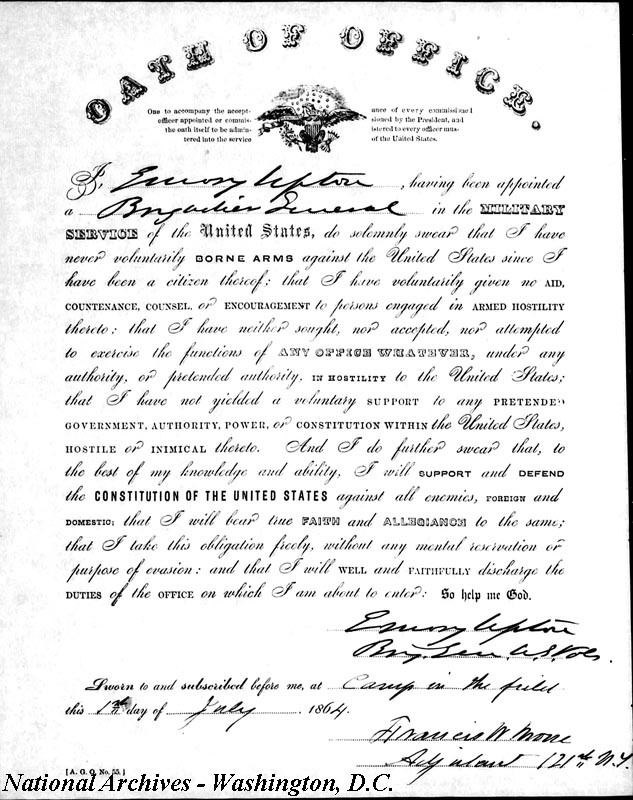 Had Grant actually conferred such prestige upon Upton it would have been a tremendous acknowledgement that he and his May 10 action was exceptional, above anything that anyone else of his rank had achieved. 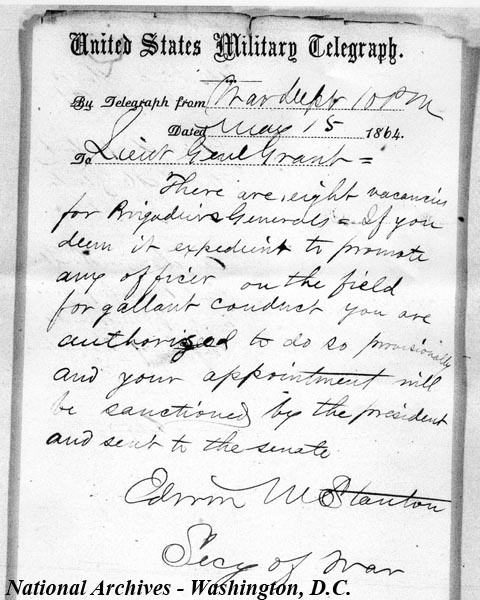 As it is, Grant and Meade bundled Upton’s promotion along with recommendations for other officers and forwarded them to Secretary of War Stanton. The justification for his promotion did not even mention the May 10 attack, but instead referenced his performance over the course of the campaign to that point, the same reason given for the other officers named in the same dispatch. There is no indication of special recognition for May 10, nor a suggestion that what Upton accomplished on that day was worthy of singular attention. It’s quite possible that his promotion was inevitable, considering the efforts to gain him a brigadier’s star prior to the spring campaign. Perhaps Stanton’s May 12 request merely provided the opportunity to elevate Upton in rank. Remove the cachet of a battlefield promotion and does the spotlight on Upton dims just a little? Does it change our interpretation of Upton, May 10 and how the Union high command viewed Upton and his accomplishment in its immediate aftermath? “Upton’s Attack” is one of the storied actions during the two-week Battle of Spotsylvania Court House. Like so many studied engagements, lore has taken root and it requires a more detailed examination of available sources to determine if they stand up to the facts. It can be good to revisit traditional interpretations. Had a visitor not asked a simple question, we might still consider May 10, 1864 as the day Upton got his star. A future post will look at Upton’s May 10 attack itself, seeking to sort facts from lore. * It’s worth noting that Joshua Chamberlain was the first officer to receive a battlefield promotion from Grant. He received a promotion to brigadier general on June 20, 1864 for his actions two days earlier when he led his brigade against the defenses of Petersburg, during which he was grievously wounded. I really enjoyed these posts on Col. Upton, Eric. It was a pleasure to read the results of your research. Keep up the great work. Thanks for your continued sleuthing. I really enjoy reading these posts. Very nice. Its always useful to ask the questions again. A very interesting and well written article. Great research Eric. Thank you. Fascinating study on Upton in the context of the administrative processes of the War Department, and rich research, with great documentation, into a figure of importance & interest: this is stuff I would have like to research but never had the time. Super job, and thanks for the diligence put into what some people think an arcane topic !! Upton was a complex and dedicated young officer, hugely ambitious to judge by his correspondence: I recall he writes to his wife (or sister?) at length about his promotion potential…. I think, hIs contribution to the charge on the Mule Shoe should not be seen as limited to just May 10, 1864, but included all his work over the entirety of the preceding winter when the Union Army was encamped at Brandy Station, and Upton was aggressively drilling the troops in their “new” tactics, which he was developing: “We had Upton three times a day” wrote Pvt. Calif Newton Drew, Co. K Sixth Maine Infantry, in January, 1864. Drew was not necessarily one of Upton’s greatest fans. Then Grant arrived at Brandy Station in March, and leaves Meade in tactical command, and in the process Grant also gets to observe Upton’s new tactics during Winter Camp drills. This is probably all explained to him during Winter Camp — there’s a certain collegiality going on, within which Upton’s new tactics is only one facet. And so Grant is tacitly “adopting” Upton’s new tactics — which goes right along with his ceding tactical matters to Meade (I think). SO, as to tactics, this is Upton’s initiative, but you can see the entire thing is happening in real field time, as a necessary upgrade to the drills, because of the problems referenced by Grubb. Of course, it is only a year or two AFTER the war, that the Upton’s Tactics get typeset, edited, proofread, etc. and finally published with the full approval of a Commission headed by Grant: but the point is the tactics are already proven, field-tested, etc. and because THEY WORK they later get printed — that is, later on Washington adopts them as official. But it would be a mistake to think Upton’s tactics weren’t in ready for use “in the field” in the Wilderness 9where they had little application) at Spottsylvania — and not just in the charge on the Mule Shoe. I think, the same sort of “push-me/pull-you” process obtains with respect to Upton’s promotion in the field. It’s not as if Grant did not have authority to promote Upton, in my opinion: Grant knew Upton, knew his dedication, ambition, aggressive work on the tactics over the winter, etc. I think he did promote Upton in the field, not just because the single charge was so effective: but also because the success of the charge revealed the overall “payoff” for the Army of Upton’s long-term efforts over the Winter, in terms of building unit cohesion through perpetual drilling, drilling, drilling on the new tactics. All that effort was finally “shown off” on May 10. Grant confers the promotion “on the spot” — just as he says, and then this fact is communicated to or relayed to Stanton, who then — within a few days — provides the necessary “authority” for it, so that everything looks regulation. But I would say, that Upton was indeed promoted on the field, and Washington is only playing catch-up to Grant, to make it all look kosher. Interesting thoughts Roch. I’d not heard or seen any reference to Upton developing “new tactics” over the winter of 1863-1864. I’ll need to see if I can find some corroborating accounts. As to Upton’s field promotion, anything is possible, I suppose, but no evidence exists to back up Grant’s claim in his memoir. Just a note: my great grandfather, Calif Newton Drew, was in both these charges, the May 10, 1864 charge on the Mule Shoe, and the May 12 charge on the same salient — this time to be dubbed the “Bloody Angle”. In his memoir, he suggests that the key to understanding how both these two charges were allowed to take place, lies in the killing by Confederate sniper fire, of General John Sedgwick on May 9, 1864 — the day preceding the first charge. Grant later opined that he could better have spared the loss of a whole division, than lose Sedgwick. 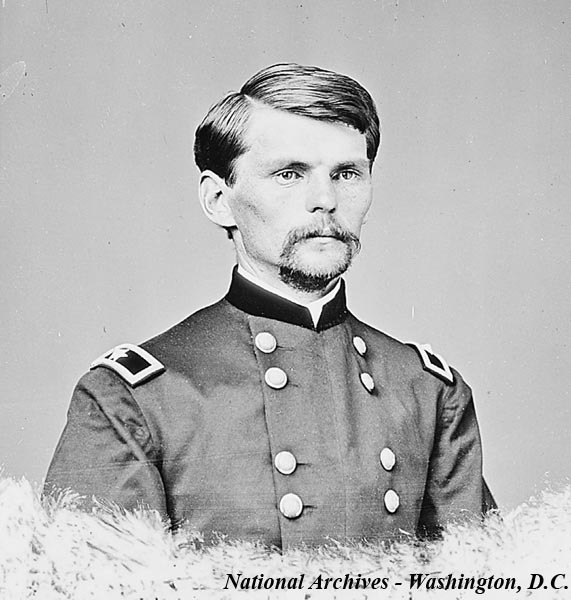 Drew writes to the effect, that the killing of Gen. Sedgwick opened a vacuum of competence in the Grand Army command hierarchy, and it was not filled when Gen Wright took over the 6th Corps: idea being that it is within this crisis of command structure occasioned by Sedgwick’s death, that Upton was given the okay: there not being a more experienced commander to show initiative. This was a very interesting post, and I look forward to the follow-on post about the actual attack. I’m just spit-balling here, but I wonder if a relative lack of knowledge about the details of the May 10 attack helps explain why the May 12 attack was so poorly planned. After all, if the May 10 assault was as important as historians thought in the past (including myself) to leading Grant to order the Mule Shoe assault two days later, it raises the obvious question as to why more effort wasn’t put into planning the execution of that larger May 12 attack–especially since the trademark of the May 10 assault was its level of tactical planning. I used to think this was just another example of institutional weakness in the Army of the Potomac. But I now wonder if it went deeper than that, and it’s not just that Grant and Meade failed to replicate Upton’s methods, but that didn’t even realize the significance of his assault in the first place–which is plausible enough considering the chaos of the ongoing campaign and battle. Thank you Wayne. Interesting thoughts. With distance we gain clarity, but I too wonder about what they knew at the time and how it may, or may not, have influenced the May 12 attacks. “A brigade today — we’ll try a corps tomorrow” seems too convenient. I’m still organizing my thoughts, but hope to get a follow-up post on Upton’s May 10 attack written in the next couple months. but he had gone back for troops and Edwards was in command. I never saw General Eustis after that during my term of service. to him, “Colonel Edwards, you are in command of the Brigade. Nice find. Thanks for sharing this…. Great anecdote with character development for Upton — his relentless career ambition, and his own very special rapport with the troops.